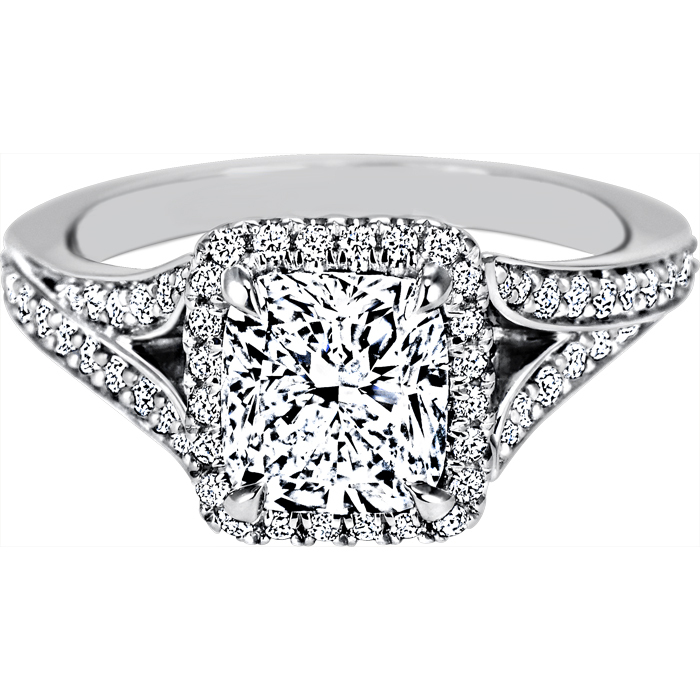 PLATINUM, CUSHION CUT DIAMOND WITH DIAMOND HALO AND PAVE SET ROUND DIAMONDS ON THE SIDES. 4-Prong Claw. TOTAL DIAMOND WEIGHT OF BAND ONLY IS ABOUT .33cts.